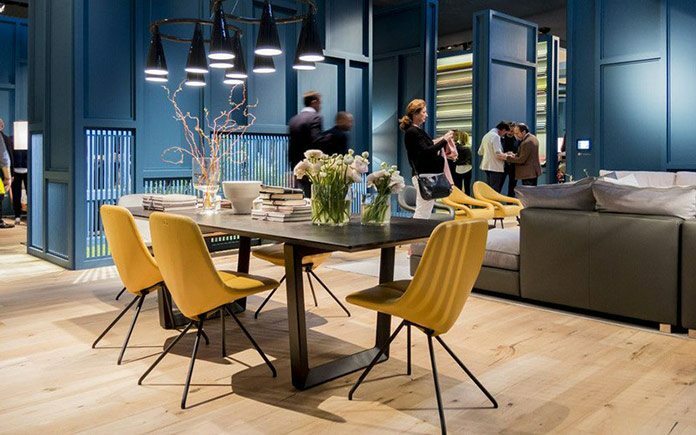 The Salone del Mobile 2015 has already premiered in Brussels, London and Hamburg with a cycle of conferences for more than 90 journalists from the most prestigious European periodicals. The Salone is open to operators each day from 9.30am to 6.30pm, and also open to thegeneral public on the Saturday and Sunday. Products on exhibit: bedrooms, beds, wardrobes, dining rooms, dining nooks and living rooms, hall furniture, children’s furniture, occasional furniture, tables and chairs, rush and rattan furniture, garden furniture, upholstered furniture, accessories, objects, ornaments and fabrics. The Salone Internazionale del Mobile, split into three style categories: Classic, Modern and Design, the International Furnishing Accessories Exhibition and Salone Satellite, will be flanked by the biennial Euroluce / International Lighting Exhibition in Pavilions 9-11 and 13-15 and Workplace3.0/SaloneUfficio, dedicated to the workspace, in Pavilions 22-24.
consulting. To mark the 2015 International Year of Light proclaimed by UNESCO, architect Attilio Stocchi has conceived “FAVILLA. To every light a voice” for the city of Milan – an installation/event telling the story of and exploring the essence of light. SaloneSatellite will be back in Pavilions 22 and 24 – the same as Workplace3.0 – with free public entry from Cargo 5. Now in its 18th edition, the exhibition is dedicated to the theme “Life Planet”, dovetailing with that of EXPO 2015: Feeding the Planet, Energy for Life. SaloneSatellite is an unrivalled meeting point for 700 young designers selected from all over the world, businessmen, architects, interior designers and the press. The exhibition showcases the work of designers under 35, and offers them a chance to be selected for the 6th annual edition of the SaloneSatellite Award for the 3 best prototypes on exhibit, relating to the product categories on show. The Salone del Mobile is also one of the supporters of the exhibition “LEONARDO 1452-1519” – the greatest Leonardo da Vinci exhibition ever held in Italy – which will launch on 15th April 2015 at Milan’s Palazzo Reale, just after the Salone opens.